Universal City, California, March 9, 2016 - A young American woman uncovers the menacing nature of the English family she cares for in The Boy, a terrifying thriller debuting on Digital HD on April 26, 2016 and on Blu-ray, DVD, and On Demand on May 10, 2016, from Universal Pictures Home Entertainment. From Lakeshore Entertainment (Exorcism of Emily Rose and The Underworld Franchise) and STX Entertainment (The Gift, Secret in Their Eyes), the film is a frightening thrill ride directed by William Brent Bell (The Devil Inside) and starring Lauren Cohan ("The Walking Dead"). Greta (Cohan) is a young American woman who takes a job as a nanny in a remote English village. She soon discovers that the family’s 8-year-old is a life-sized doll that they care for just like a real boy, as a way to cope with the death of their son 20 years prior. 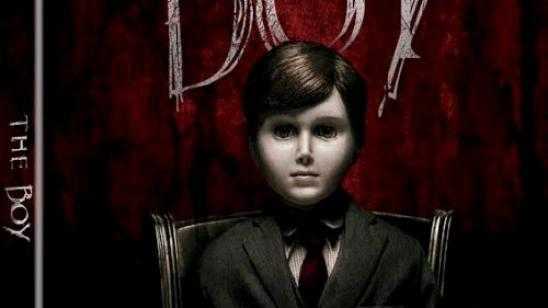 After violating a list of strict rules, a series of disturbing and inexplicable events bring Greta’s worst nightmare to life, leading her to believe that the doll is actually alive.